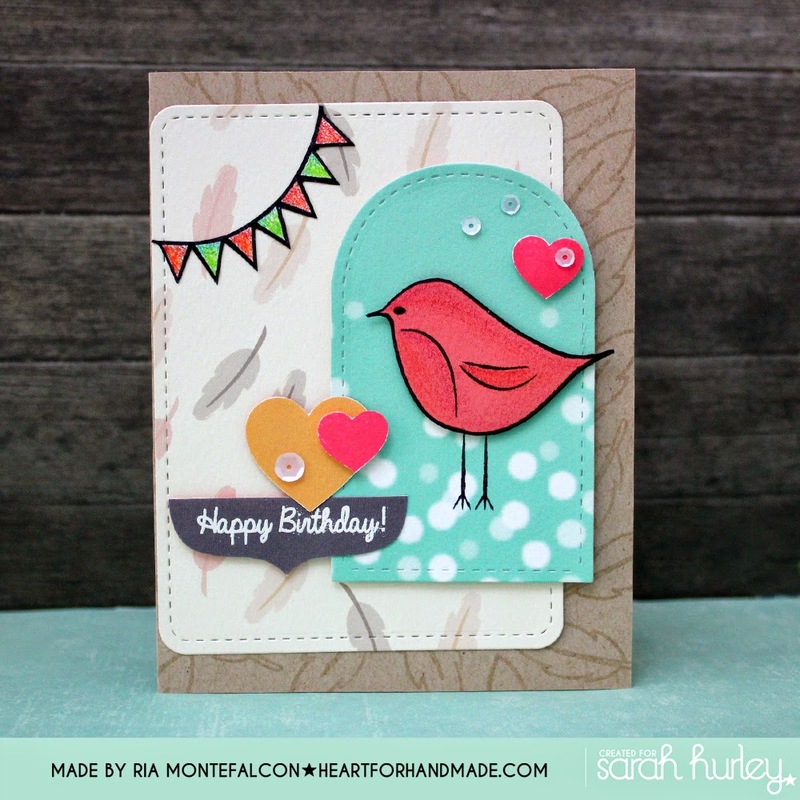 Its Ria here today sharing a quick birthday card using new stamps from Sarah and Jaine. For today's project, I used a combination of three different stamps sets from Sarah. I first stamped the card base background with a leaf from Be Amazing stamp set. Beautiful Ria, so fresh and bright, just what we all need. 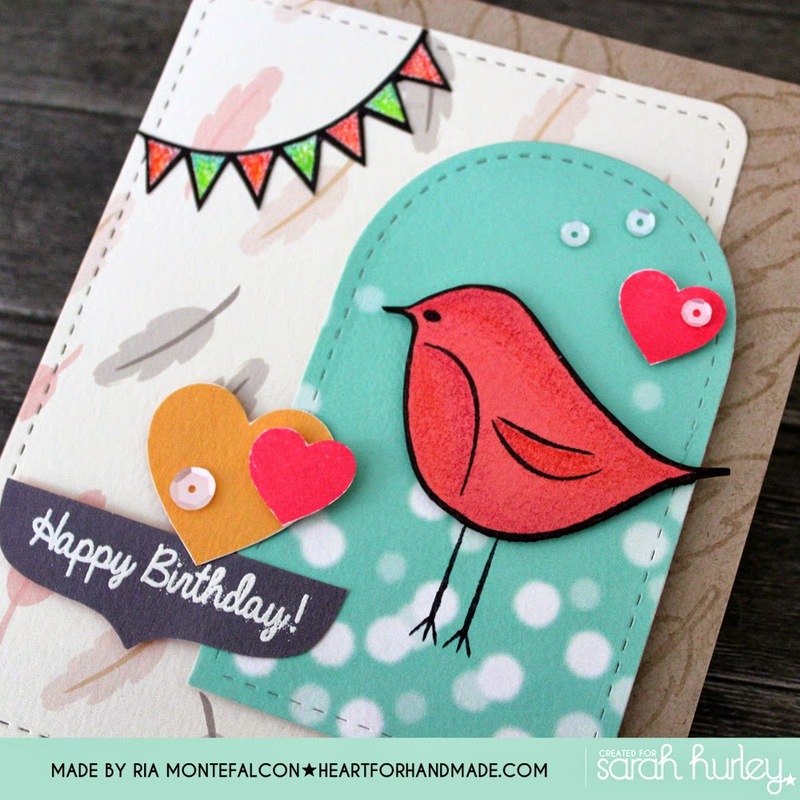 lovely card Ria, great colour combo!